In The Happy Show, Stefan Sagmeister, the “grand master of graphic design,” explores and transcends the boundaries between art and design. The exhibition documents his ten years of ongoing investigation into happiness with the aid of videos, prints, infographics, sculptures, and interactive installations. It takes visitors on a journey through the designer’s way of thinking and his attempts to increase his own happiness by training his mind as others train their bodies. 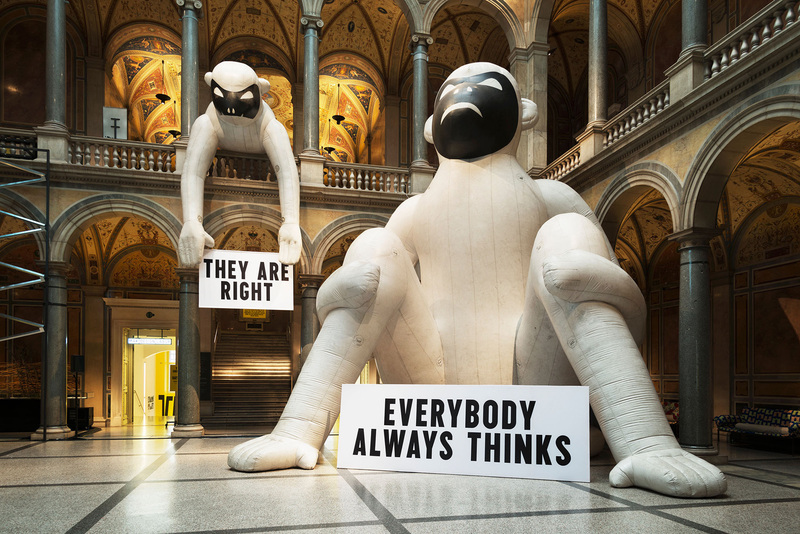 The Happy Show, which stretches across corridors, staircases, and even includes the museum’s “spaces in between,” is Sagmeister’s second exhibition at the MAK since 2002. In handwritten commentaries on the museum’s walls, bannisters, and bathrooms, Sagmeister elucidates his thoughts and motives for the projects on show. He supplements these personal notes with facts from social science by the psychologists Daniel Gilbert, Steven Pinker, and Jonathan Haidt, the anthropologist Donald Symons, and important historians, to contextualize his experiments with mind and typography. This inspiring presentation shows the designer’s experiences during a three-month experiment with meditation, cognitive therapy, and mood-altering medication. The exhibition is accompanied by the publication THE HAPPY FILM.